Are these the same as the Sky Q boxes, and can anyone help me with this. What is the model of your NOWTV box acting itself as an AP? 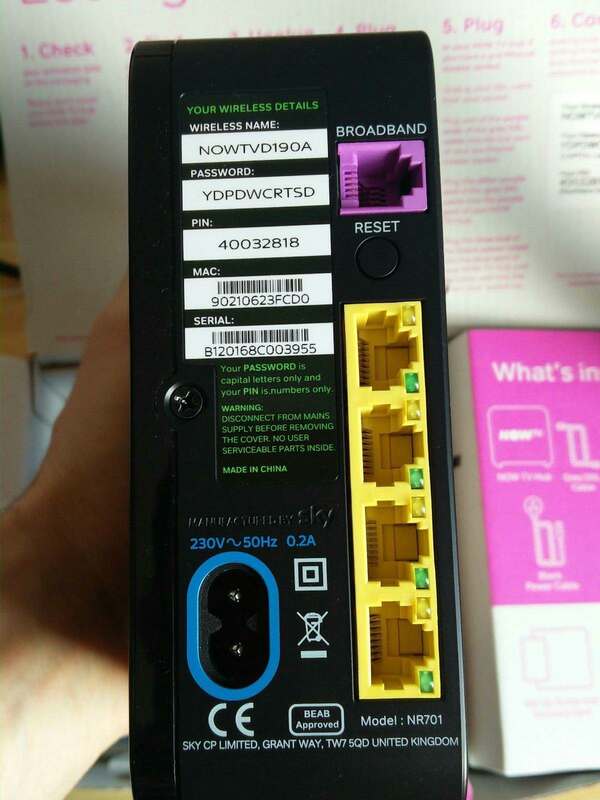 The NOWTV access point shows as Device name 'Sky Hub', manufacturer 'Sky'. I am sure I read somewhere these are the Sky Q routers, with the same algorithm, but different SSID. Maybe then it is a Now Broadband Hub? I notice actually just doing a search on the forum that $cI$$0r$ has already solved one. Ah! Ignore my post here update mine above as key starts with 8, not B. Follows exact same SkyQ algo. Yup! Exactly the same as confirmed by $cI$$0r$ so owned. I can run SkyQ keys in ~4 hrs 20 mins. Just uploading a raw cap too if that helps? 49.2mb. OK running it so we shall see We know the key ends in "S" following SkyQ rules. Your just a tad quicker than anything I can achieve here. About 20x quicker in fact. Thanks for that, and helping confirm the NOWTV is just a rebadged job. how 14 cards :o ? Very tragic ending for $cI$$0r$, but maybe a lesson for us all? Not 14 cards mate its 12 but PCIe slots start from #3 to #14. I have updated the Wireless Default Keyspace page so it includes the NOWTV##### APs. Have you experienced WPA hashrate slowdown with plain wordlists? what mobo as 12 slots in it ? What do you mean very tragic ending? Asrock H110 Pro BTC+ has 13 x PCIe slots, 12 of which are 1x speed. Yes, with wordlists + rules, there is a bottleneck due to interface speed being 1x but brute-force is not affected.